DoctorM64 spent over ten years remaking Metroid II: Samus Return in his free time, only to have Nintendo send him a DMCA and have to take the project down. Now that Nintendo has announced their own reimagining of the same game, he’s just as pumped as everyone else is. Unfortunately, shortly after the release of AM2R, Nintendo sent DoctorM64 a DMCA. 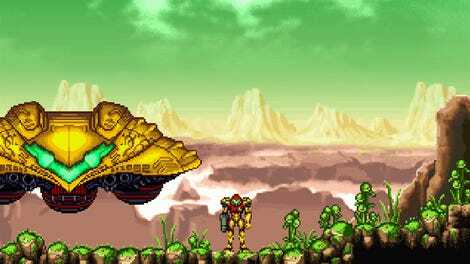 This week’s announcement of Nintendo’s own remake of Metroid II sheds some light on why. Kotaku news editor Jason Schreier talked to longtime Nintendo game producer Yoshio Sakamoto about AM2R at E3—it turns they were aware of the project. “We heard about it first after we had already started development,” Sakamoto told Jason. “We know it exists, the fact that a fan is out there and really likes the series this much.” Sakamoto hasn’t personally seen AM2R, but did also say that he knows that Nintendo asked DoctorM64 to take it down.